Good functionality and various adjustability options will allow you to customize the bike precisely for your growing child. The assembly instruction is rather confusing. The Little Tiger 4-in-1 is a baby tricycle that will provide the maximum comfort for your child. Being extremely safe and durable, this tricycle will serve you and your baby for many years. The canopy will provide good protection from the harmful UV rays. The canopy is removable, so if you do not need it, just take it off. This children`s trike is not very stable on uneven surfaces. This is a versatile option for young ladies and gentlemen. It can be used both as a parent-push trike and as a kid-powered trike. The model has a capacious basket, comfortable footboard, and an ergonomic seat. 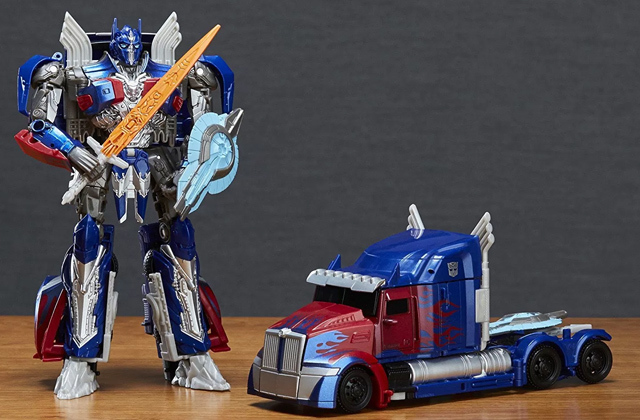 An extremely solid and thoughtful design make this model as balanced and stable as possible. The pedals might slide under your kid's feet at first. 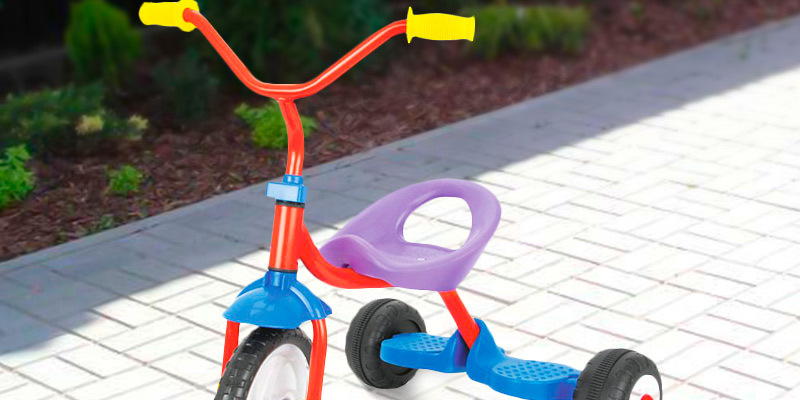 This classic toddler trike is created for 18 months+ children. Due to the wide choice of colours, parents will find the best option both for girls and boys. A special limiting controller reduces the possible risks when riding. It prevents your kid from over-steering and toppling over. The glossy paint on the frame can be easily scratched. The trike can be easily and conveniently assembled and disassembled for transportation in the car. This baby tricycle will take up the minimum place in your trunk so that you can load more essentials for a picnic. 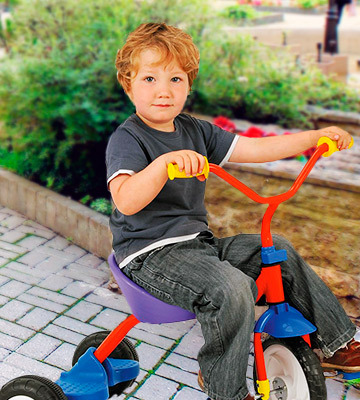 The combination of a metal frame and a large number of plastic parts makes this children`s tricycle very lightweight. So, your baby is less like to get tired during long rides. The construction is not that firm. It is one of the simplest and the most versatile tricycles that will ensure great leisure time for your little rider. 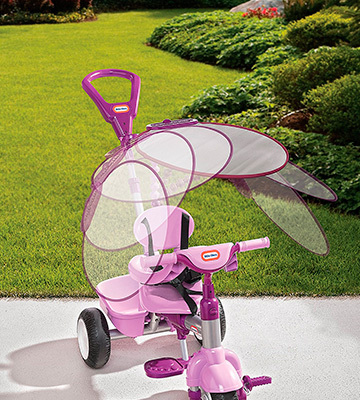 The trike has a very attractive design that your kid will certainly like! The Little Tiger is a revolutionary product that combines several vehicles in one! This small hybrid can serve as a parent push trike for the youngest, a parent-guided trike with a handle for toddlers, and a tricycle for 3+ children. 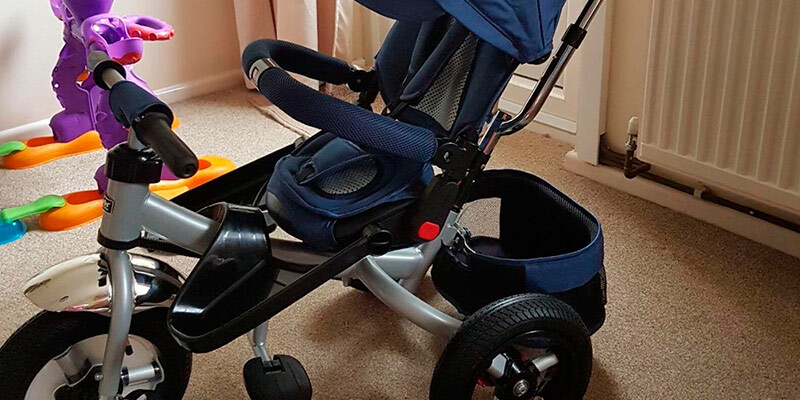 The seat of the Little Tiger can be adjusted in 3 reclining positions, including the flat one allowing your child to lie down and have a quick nap on-the-go. The seat is wrapped in a soft and breathable material providing good air ventilation. So, your child will feel comfortable even on a hot sunny day. In addition, this model has a good shock-absorption system and high-quality air-filled tires to ensure the smoothest ride possible on uneven surfaces. 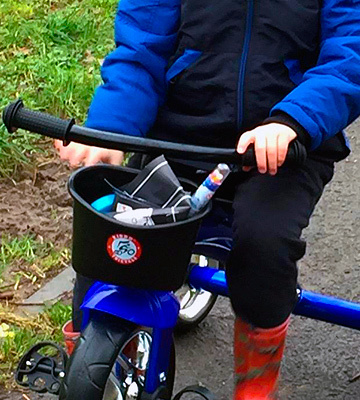 A removable telescopic handle enables parents to control the trike, while a thoughtful transformation system allows them to quickly convert it into a kid-powered trike. The model comes with a removable canopy that can protect your baby from rain or harmful UV lights. Overall, this premium tricycle can become the first "vehicle" for your little rider to bring so much joy! Parents who are into cycling could also consider buying a child bike trailer for fun family rides. 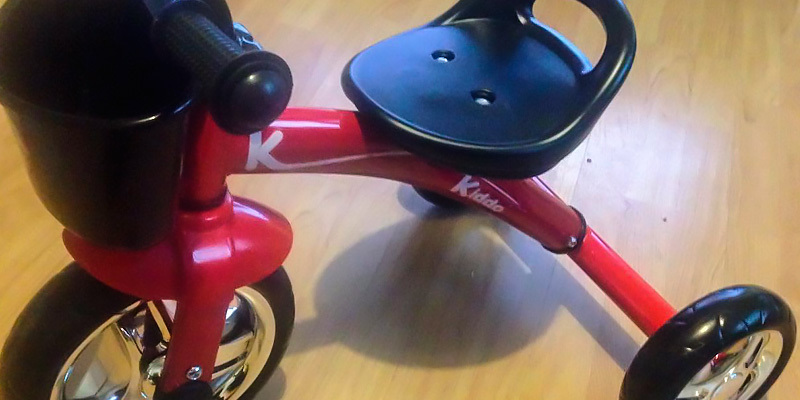 Your little one will be really impressed with a gift like a kid trike! 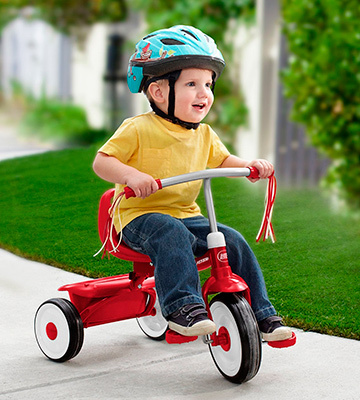 The Little Tikes trike is designed for children from 9 months. At first, it can serve as a parent push trike. Once your child can spin the pedals on his/her own, you will be able to teach him or her how to ride. And when your kid reaches 3, you are free to detach a push handle and transform it into a fully kid-powered trike. 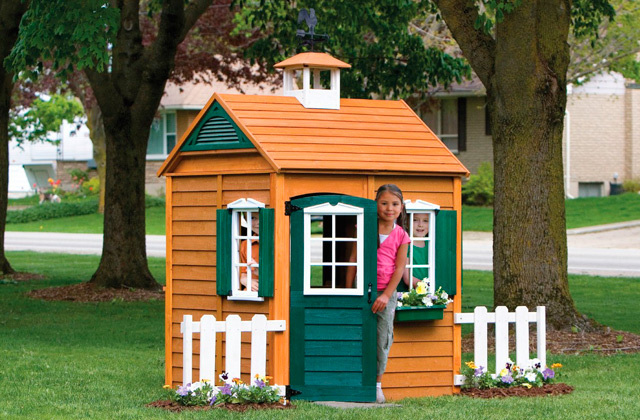 This model ensures excellent protection and comfort for both children and parents. You can adjust the seat for your growing child. The bike is equipped with a 5-point seat belt harness, a protective bar, and non-slip pedals for ultimate safety. 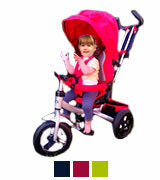 The bike is also fitted with a soft adjustable canopy to shed your baby from the boiling sun. For parents' comfort, an adjustable push handle has a comfortable grip and comes with a drink holder. If you enjoy travelling by car and always take your baby with you, then it's a good idea to get a booster car seat. 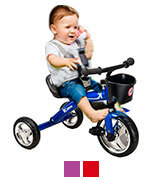 The Kiddo tricycle is great for developing motor skills! The trike has a classic design and is pretty stable on any surface. Perfectly spaced rear wheels along with a large front wheel will make your kid feel confident even at sharp turns. The comfortable ergonomic handlebars allow your little rider to steer a bike with ease. A well-made wide seat with a backrest also adds to stability as well as reduces fatigue during long rides. 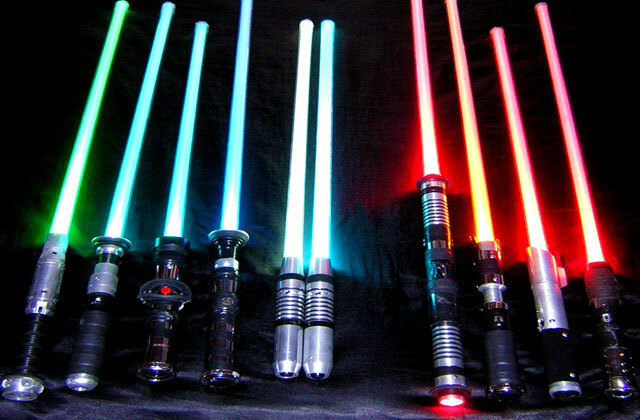 Most children often take their favourite toys with them. They just can not imagine going out without their teddy bears or cars. Keeping that in mind, the manufacturer has equipped this trike with a capacious plastic basket. So, from now on, your kids will be able to give a ride to their "most precious" things. 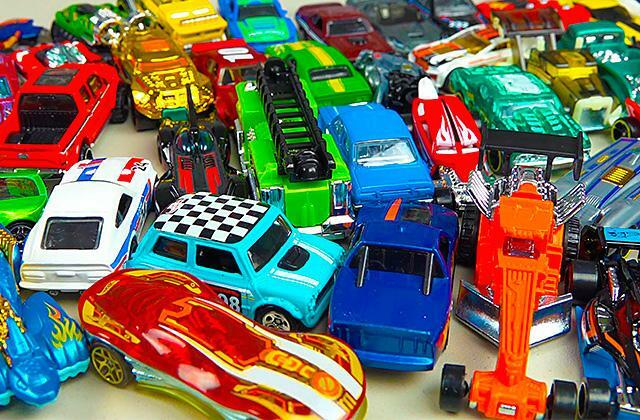 If your children want to try another type of vehicle, you could buy them a ride-on car. 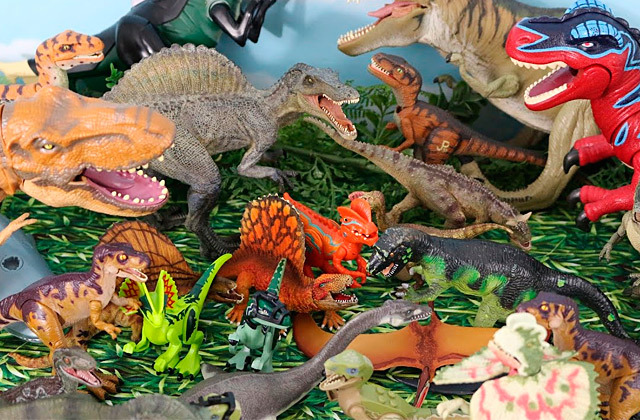 Look through our review and choose the best model for your kid! The RADIO FLYER is a great tricycle for 1+ kids. It is completely foldable, meaning you can always tuck it into your trunk and take it with you on any trip. It is a classic trike with a solid steel frame, widely spaced rear wheels, and a fairly large front wheel. All these make this bike very stable and reliable. Safety first is safety always! With this in mind, the manufacturer has equipped the steering wheel with a special stopper. Thus, your kid will be always protected from over-steering and toppling over. 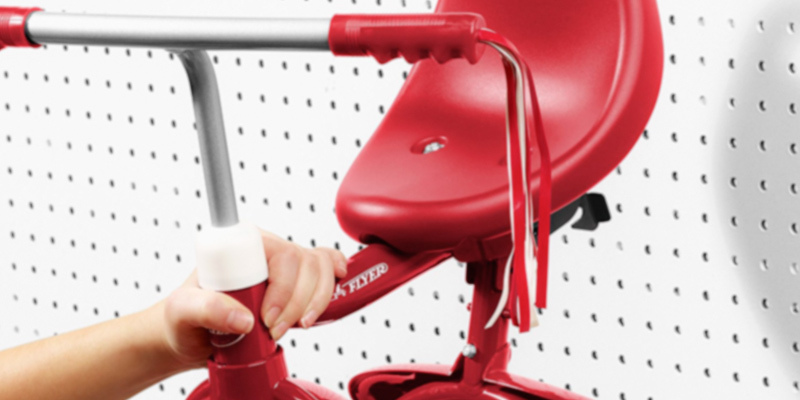 The trike seat is adjustable along the axis to accommodate your growing toddler. In addition, the tricycle has a special basket with a lid so that your kid could take his/her favourite toys for a ride. If you want to help your child develop a sense of balance, then you should definitely get a balance bike as well. 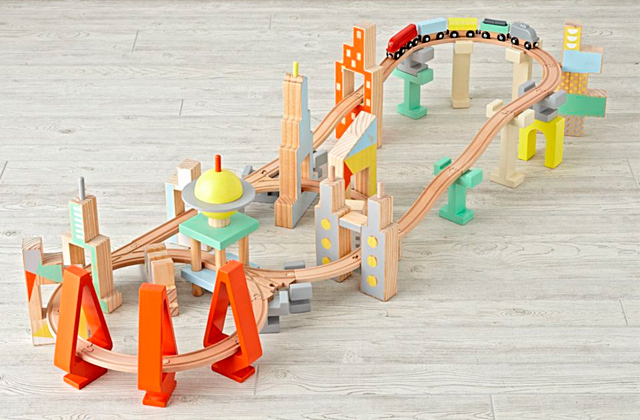 The Toyrific is a cost-effective but very practical solution to help your three-year-old kid learn how to ride. The bright plastic parts with an extremely strong steel frame make the Toyrific toddler trike pretty durable and lightweight. Due to this construction, the kid will handle the tricycle easily and almost effortlessly. The comfortable pedals and ergonomic handlebar will help your child feel more confident when riding. Plus, the wide seat ensures greater stability and comfort. As a pleasant bonus, the bike features two extra-wide rear platforms allowing your child to take friends for a ride. For sure, you should be careful and not leave children alone. Always supervise their activities. Children might also be excited about electric go-karts. They bring great fun, teaching kids how to drive and developing their coordination. Tricycle is the best option for active leisure. It enables kids to develop coordination of movements. Besides, it makes your child healthier and trains the vestibular apparatus. The frame of the bike is sturdy enough to ensure the safety of your child. 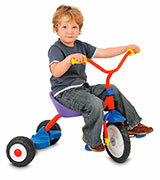 Kids love to have fun, riding the tricycle, so it will be a perfect gift for a birthday, for example. Moreover, a tricycle is a great thing for exercising. Doctors state that the bike is the best way to train your body. 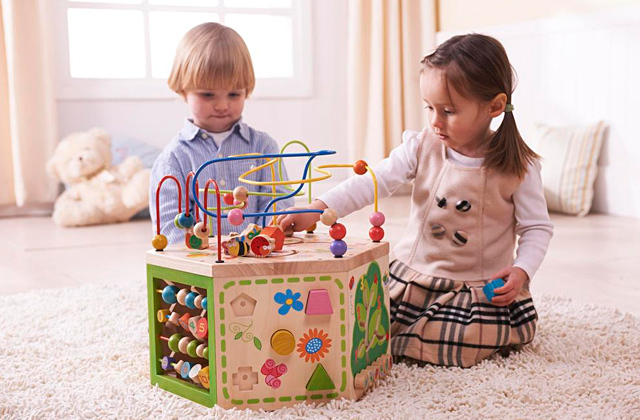 Being active, the kid stays full of energy, which is extremely important for fidgety children. 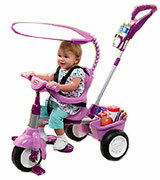 If your child only learns to walk and it is too early to use the classic tricycle, look at the baby walkers. 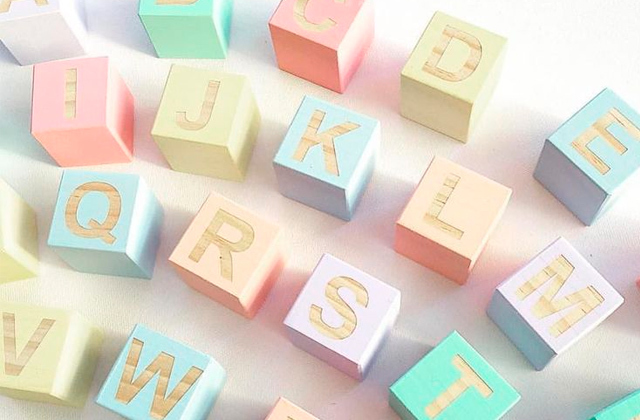 They will help your child start walking quicker. There are many aspects to pay attention to while choosing the best tricycle for your child. The first thing to mention is the Age Category. Wheel baby strollers are great for kids from 1 till 2 years old. 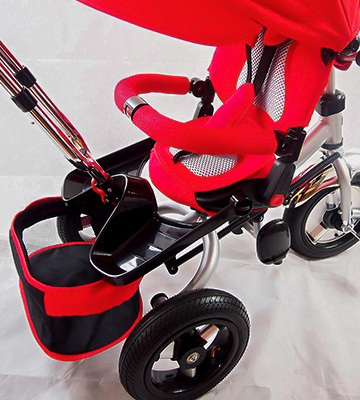 They are equipped with foot rests, safety belts to fix your baby, as well as with a tricycle handle for parents. 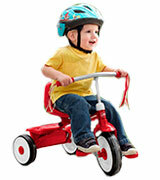 Kids who are 2-4 years old can acquire the tricycle with individual control. Another important aspect to consider while choosing the trike is the material of the frame. Tricycles made of plastic are lightweight. They are adapted to many weather conditions. However, models with a metal frame are more durable than the plastic ones. It is also essential to take into account Convenience and Wheels of the tricycle. Models with plastic wheels are great for home use. However, if you use them outside, they may slip and wear away. Thus, the models with rubber tires are considered to be more reliable. They are suitable for riding along a wet and muddy road. The size of the conventional wheels starts from 10 inches. And the size of the wide wheels starts from 12 inches. The foot pedals and the shape of the seat are important features for convenience of use. And it’s important to take into consideration the height of your child before purchasing. 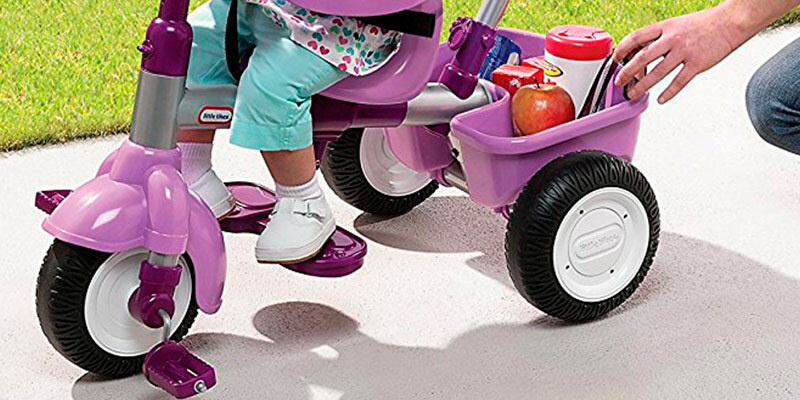 This is so because most of the modern tricycles have foot pedals on the forewheel. Bucket seats give a comfortable feeling, whereas the V shaped seats give your child a chance to change the posture during the ride. Last but not the least criterion is the Tricycle Design. The manufacturers of the best tricycles often add pictures of characters from fairy-tales to frames. Also, there are three-wheel bicycles equipped with the basket or special area for toys. 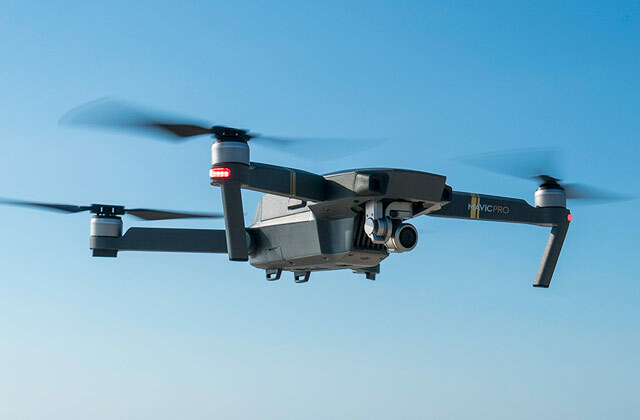 Besides, some models have a canopy or a handle for the parental control. 1. Trandangdat, Guide to buying the best tricycles for kids, Bicycling. April 6, 2014. 2. Tricycles Buying Guide, eBay.com. March 3, 2016. 3. Tricycle , Wikipedia. July 12, 2016. 4. Rei Staff How to Teach a Child to Ride a Bike, REI.co.op. June 5, 2015. 5. Family Health Team How to Pick the Best Bicycle Helmet for Your Child, Сleveland Clinic. May 16, 2014. 6. 10 Tips for Buying a Tricycle, eBay.com. March 3, 2016. 7. How to Know When to Buy a Child’s First Tricycle, eBay.com. April 8, 2014. 8. Picking a Scooter, Ride-on Toy, or Trike for Your Toddler, What to Expect.